QUICK! Think of a number from 10 to 19. Don't scroll down until you've thought of the number first! We'll call it "Intuition Test"
Second & Third pic ~ From Down's Syndrome Test. Everything was fine. That's it's hand, not a snorkel. It may look big, but it's only about 7cm. Okay, hope you have a number in mind. 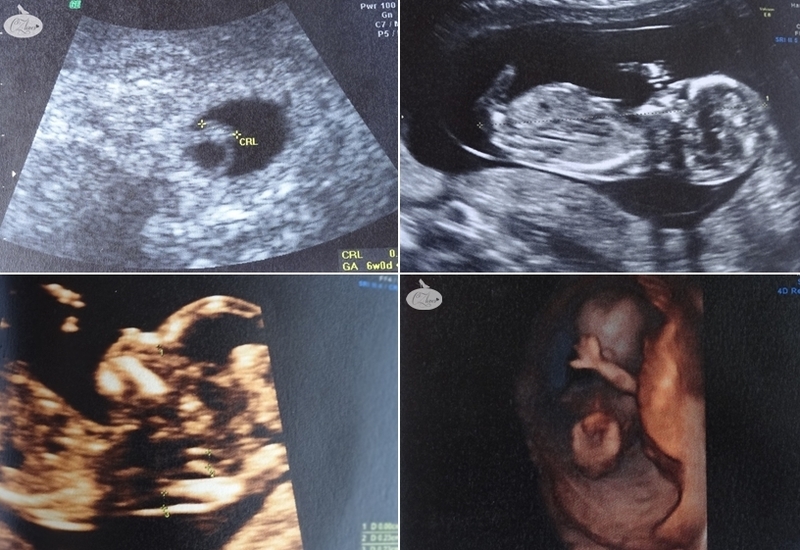 After the first ultrasound, they put 8th October as the due date, but of course they said it'll be confirmed only after the 2nd ultrasound. Thank You for reading & will see you again soon! Have a wonderful Easter tomorrow. OMG baby CZ waving is so frickin cute! Believe it or not, I thought of 13. My intuition must be quite strong. I thought of 15, and 11th oct is my date of birth.. I had thought 13, beacuse I thought you were asking how many weeks pregnant you are now. I thought of 12 as 12th oct is my bday! But being a Radiologist I should tell you that these dates are calculated on the basis of the baby's measurements at the time of scan and may change subsequently. OMG! !! I I thought 13 only coz 22nd is my birthdate and '4' my number, so whenever I ve to choose something I always pick 4. Anyways congrats CZ.. take care.. eat well, sleep well. love you loads .. I thought of no. 10 for u..
Hey CZ, visiting your blog for the first time and I am loving every bit of it. I choose 15th, as its my birth date as well.